Get on board with the latest and greatest ways to engage and inspire members. Gone are the days when all that your personal training department needed in order to stay ahead of the curve was a gym full of the latest fitness equipment and a team armed with clipboards, stopwatches and maybe a heart rate monitor or two. Now there’s a barrage of fitness technology, such as wearable activity trackers and mobile apps. Many fitness managers are contemplating if, when and how to formally integrate these new tech tools into personal training services. Once adopted, technology can greatly enhance the client-trainer relationship. However, that doesn’t mean there aren’t potential pain points along the way. Here are five tech-related roadblocks that you and your personal training staff might encounter. Fortunately, there are solutions. As a personal training director, you might already feel pressure from tech-savvy personal trainers to devise a system for formally accommodating technology. Even if you're not yet up to speed on fit tech, you can still lead the way by establishing systems and protocols. In the process, ask one or two of your most trusted trainers for a “crash course” on the benefits of using technology with clients—and what that entails. Moving forward, make it a practice to stay abreast of tech trends as part of your ongoing education, in the same way that you look for fitness program and equipment trends. See the sidebar "Technology Resources From IDEA" for additional resources. Another roadblock is the reverse of the one just described above: You have the knowledge and the passion to weave technology into your department, but your staff is much less enthusiastic about it. Some trainers might reject technology altogether, because they don’t like it or they don’t feel comfortable applying it on the job. Additionally, some staff members may work with clients who don’t care to mix tech with training. What to do? Survey a range of clients about their interest in fitness technology and their current experience with it. Are clients already bringing their trackers to sessions? If there’s enough interest among clients, you’ll need to “sell” trainers on the idea of going deeper into the fit tech space. Spin your sell so that it underscores the benefits—both to the clients and to the trainer-client relationship. If at least a few trainers on your team do use technology with clients, draw on their experiences as case studies. Demonstrate to the nontechy trainers how, for example, tracking and analyzing health behaviors with an app or a wearable device has helped clients enjoy more significant results, perhaps at a faster pace. Fitness technology is a quickly growing arena, which translates to hundreds of choices of which apps and trackers to try—from iPhones and Androids to the Fitbit and Apple Watch. It’s impossible to be an expert on every detail of every option. Aim to gain a working knowledge of the “big players,” as they will likely be the most popular among clients. Equate your working knowledge of fit tech with the way you and your staff negotiate other fitness-industry trends. In other words, most fitness pros possess basic knowledge about a wide range of equipment and programs, in addition to more in-depth expertise in select areas. If it’s appropriate, encourage your staff to work as a team. For example, each trainer could try out one popular app (many of which are free) or one wearable device for a week or two and then share the results. This shouldn’t be too time-consuming. Many of the most common apps and wearables are designed to be quite user-friendly, and they have a small learning curve. You could also make an executive decision to focus on the apps and/or gadgets that have the widest appeal and reach and are the most applicable to your personal training programming. 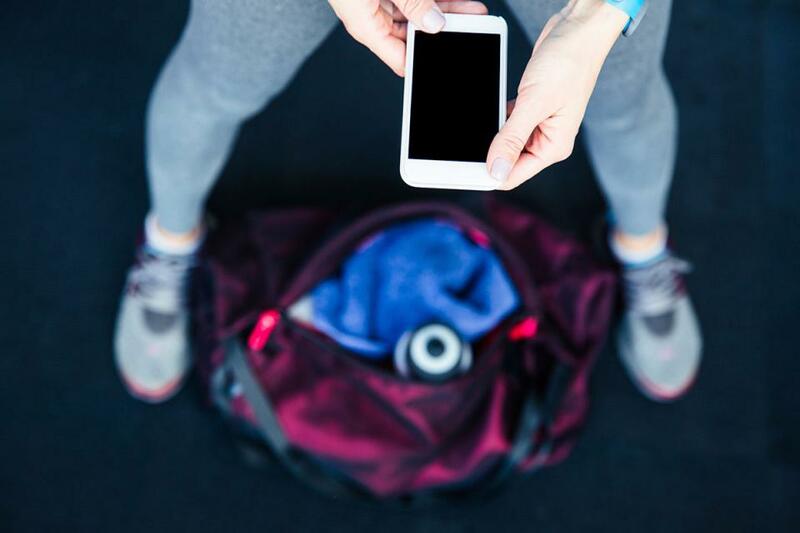 Tip: Many popular fitness apps are available in both iOS and Android versions, which covers a lot of territory in terms of device compatibility for trainers and clients. 4. What to Do With the Data? Fitness technology yields plenty of data that trainers can use to analyze clients’ daily health behaviors—from how long they slept the night before, to how much exercise they’ve logged since their last training session, to what they ate all week. Before you build app/tracker data analysis into programming at your facility, create a strategy for explaining to clients why trainers might want this personal information. One reason is that with greater awareness of their clients’ overall health habits, trainers can help establish positive lifestyle changes. Of course, clients should always feel welcome to opt out of sharing personal data. Moreover, you need to establish clear protocols about what trainers are digging for in the data they collect. Are sleep patterns or eating habits relevant to clients’ progress? If yes, how might that knowledge contribute to potential adjustments in programming? Stats should illuminate and validate, not shame clients or justify punishingly hard workouts. Fitness technology moves quickly, which makes it both exciting and frustrating. Our industry is beginning to explore technology, and many leading companies have already jumped in with both feet. There’s no turning back. Good news: Once you've become familiar with the basics of fit tech, you’ll find it easier and less time-consuming (and even fun!) to keep pace with what’s new—and what’s next. Now’s the time to embrace fitness technology as an innovative way to optimize success within your personal training department. Want more from Amanda Vogel? Amanda Vogel, MA human kinetics, is the owner of ActiveVoice.ca, a writing, editing and consulting service for the fitness industry. She’s a Hootsuite-certified social media consultant for fitness brands and public figures and a Fitness Technology Spokesperson for IDEA. Specializing in group fitness, Amanda holds indoor cycling certifications from Schwinn and Keiser. 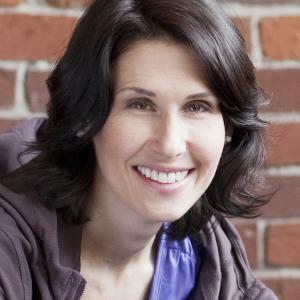 In addition to blogging at FitnessTestDrive.com about fit tech, workout gear and exercise clothes, she writes for popular magazines, including IDEA Fitness Journal, ACE Certified, Best Health and Reader’s Digest. Find her on social: @amandavogel on Twitter and @amandavogelfitness on Instagram. ... read more.